As we’ve mentioned above, going upstream often is a journey through time and space. The original story is also the first story, and as we saw with the Hawaiian news show, local sources often have special insights into stories. 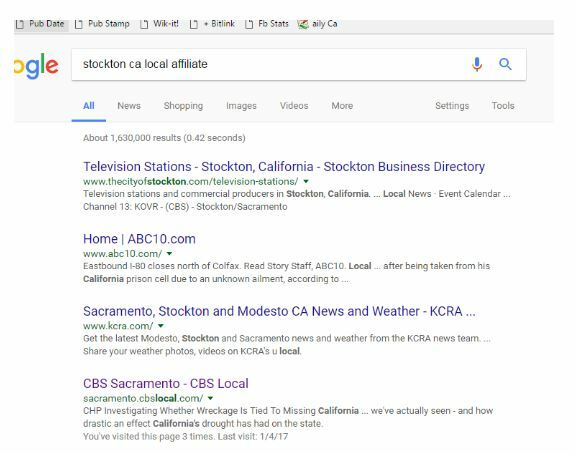 There are specific tactics we can use with Google other search engines to help us find original material more quickly. The following photo is another photo that Twitter users have identified as another “National Geographic photographer” photo. Is it? 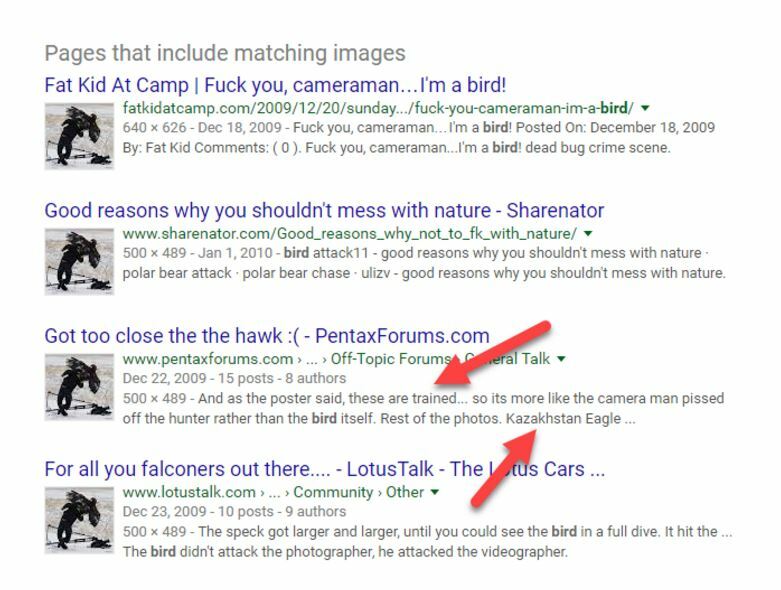 This suggestion is based on the fact that the pages where this photo shows up often contain these words (“birds attacking people”). 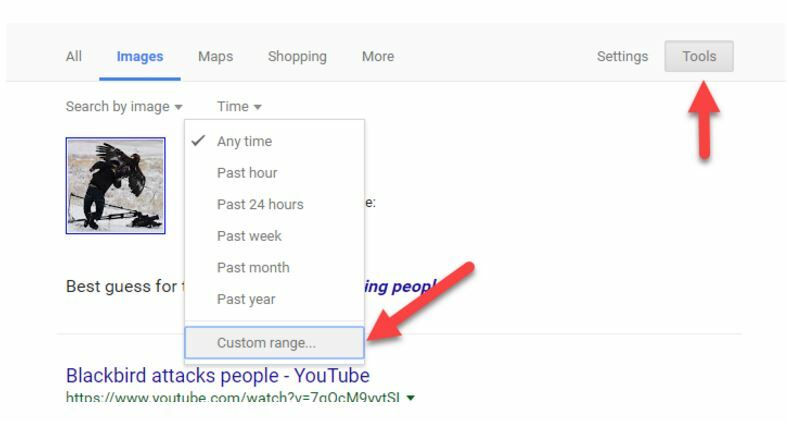 We can modify that search, however. Let’s return only the older pictures. We do that by clicking the “Tools” button and then using the “Time” dropdown to select “Custom range”. This should filter out some of the posts that merely include this in slideshows. Why 2009? We have to pick something. For viral photos I usually find 2009 or 2010 a good starting point. If you don’t find any results with that parameter, then you go higher, to a year like 2012. If you find too many results, then change the search to something like 2007. Here we get a much better set of results. 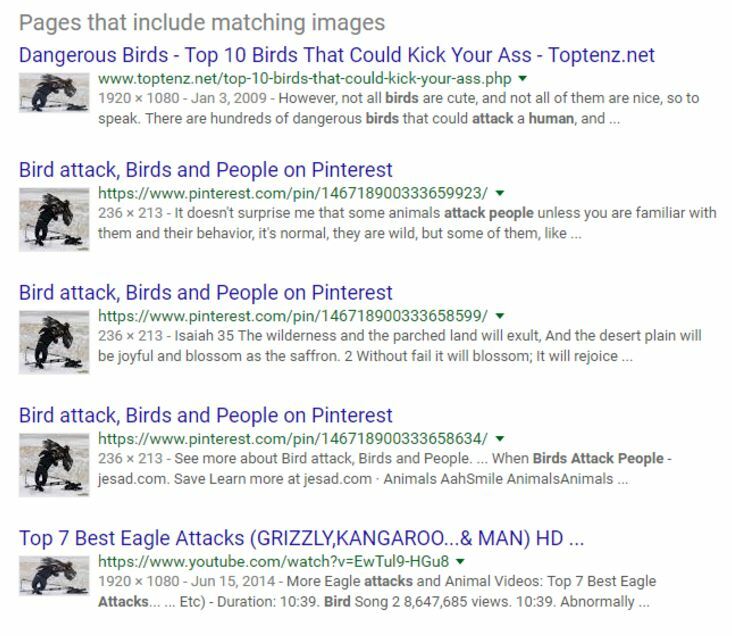 Instead of a list of “When Birds Attack” slideshows, we get a set of results talking about this specific photo. One of the results stands out to me. The poster of the “Got to close to the hawk” result seems to know a bit more about the situation, noting “these birds are trained”. 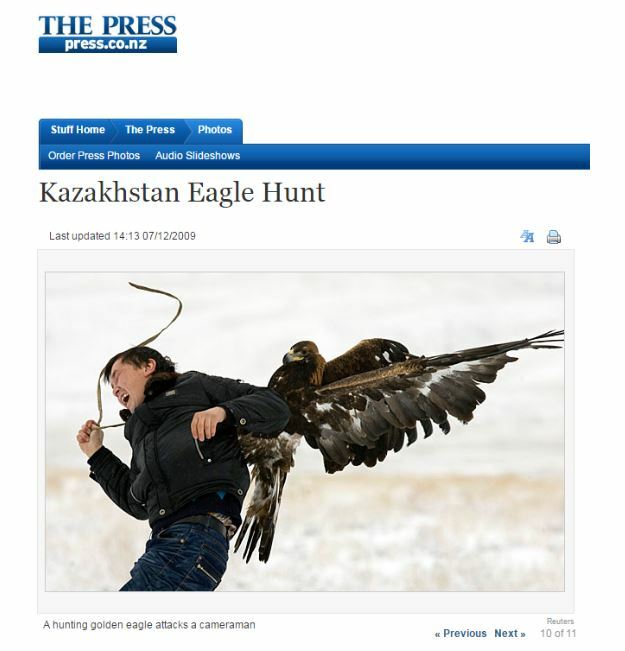 It mentions “Kazakhstan Eagle”. That’s a name of a type of bird, but it’s also a place, and if we could confirm this took place in Kazakhstan, there will be other ways to trace this back to the original. Remember — going upstream is about getting closer in time to the original, but also can mean getting closer in space. 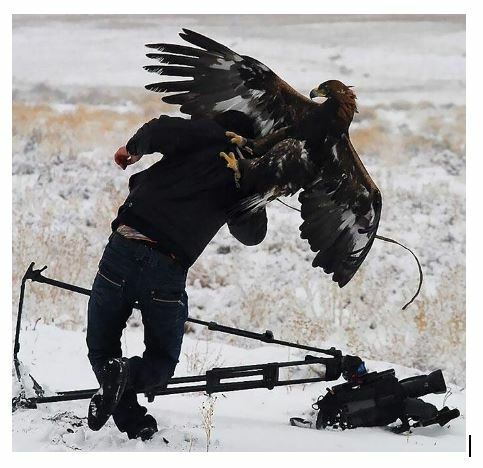 Luckily when we go to that page it links us in the comments to a page that has the set of shots that the photographer was taking, as well as a shot of this cameraman being attacked from another angle. It’s a series of photos from a hunting competition in Chengelsy Gorge, Kazakhstan. The eagle attacking him is tame and trained, but for some reason attacked him anyway. So this is real; it’s not photoshopped or staged. At the same time it’s not a National Geographic photographer. We could pursue it further if we wanted, but we’ll stop here. While this process takes some time to explain, in practice it can be done in about 90 seconds. Here’s a YouTube video that shows what this looks like in practice. Two white teenage girls and their mother were attacked during the protests in Stockton last Friday. The young girls were transported to the hospital by police after being viciously beaten by Black Lives Matter supporters, but one of the attackers will soon face criminal charges for his role in the assault. The headlines and the language used in those posts were often inflammatory and racist, but is there a really story under this? Or is the story fake? And in doing that we find that the event did happen. But the facts, if you follow that link, are more complex than most of the tertiary coverage will convey. There’s plenty to argue about concerning the event. But by going to the local source we can start with a cleaner version of the facts. This isn’t to say that local news is always reliable, but in a sea of spin and fakery, it’s not a bad place to start for coverage and confirmation of local events. Filtering by Time and Place to Find the Original Copyright © 2017 by Michael A Caulfield. All Rights Reserved.